I saw this the other day on Charlotte’s lovely blog Bookmarks and Blogging but she got it from the wonderful Ariel Bissetts channel on You Tube. It basically says if you ruled your own world what would it look like bookwise. Question 1. What book would you make everyone read? A Christmas Carol by Charles Dickens of course. My favourite book of all time! But I suspect that seeing as it was published over 170 years ago most people, may have read it anyway. The book shows that its never too late to change, the power of redemption, the mistakes we make in life and that we can all be redeemed if we want to. Question 2. What would you abolish in book construction? Oh this is so easy, I would get rid of any paperback book that wasnt floppy! By floppy I mean that it opens easily and stays open, is easy to hold and read and all soft etc. Not like some paperbacks whose spine is so hard and fiercely glued together that its like breaking toffee just opening the damn book! These make my hands ache and i usually end up DNF’ ing them. Question 3. What author would you commission to write you any book? I’d love a novel specially written for me by David Levithan. I just love his writing, he is one of my all time favourite authors and i especially adore his character called Dash, so a book about Dash and set in New York would be adorable! Question 4. What book would you demote to the library basement to make way for new books? Can I have two for this? and sorry Ariel if you ever read this but one of them is Animal Farm and the other Lord of the Flies! They both freak me out so much! I just hate the cruelty in Animal Farm, i cant read any book that has a humanised, talking animal in. I am way too soft and wimpy! And LOTF is another cruel book but to children which as a mother appalls me. Question 5. What cover artist would you commission to make a mural? It would have to be Isabel Greenberg, author of The Encyclopedia of Early Earth who illustrates her own books and their covers. Her artistry is stunning in its simplicity and blown up would look fantastic on a large wall. Question 6. What characters face would you put on a coin? I’d love a Dumbledore coin! His face would make me feel safe and happy at the same time and would be a very grand look for my Kingdoms coinage. Question 7. 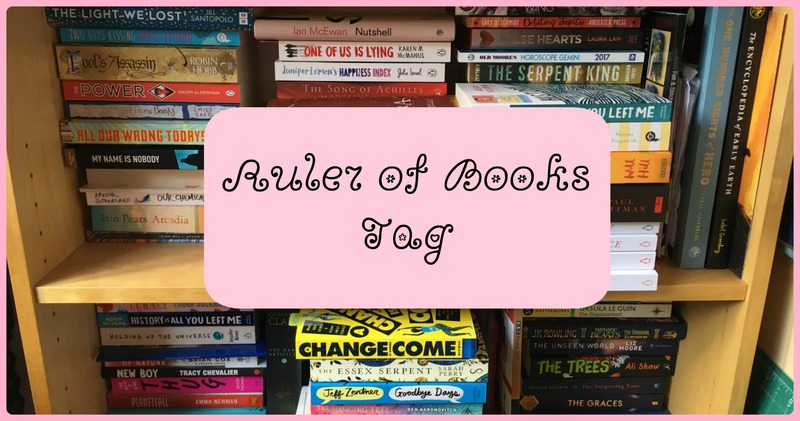 What book would you award the Ruler of Books 2017 prize to? The Essex Serpent by Sarah Perry. Its been the best book i’ve read this year so far, thrilling, funny, scary and her prose is just sublime. What would your choices be if you were Ruler of Books?